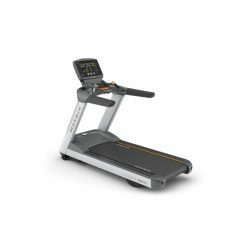 With a sophisticated design and abundance of interactive features to keep you motivated, the Life Fitness Platinum Club Series Treadmill offers the ultimate home cardio workout experience. 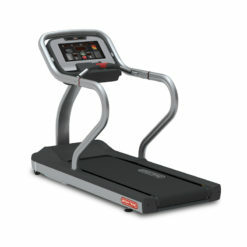 A top of the line home running machine – this is the Life Fitness Platinum Club Series Treadmill. The LifeFfitness Platinum Club Series Treadmill is built with the highest level of durability and innovation to deliver the ultimate home workout experience. Fitted with a club-quality Discover HD LCD touch-screen, you have access to extensive entertainment options, enhanced interaction, internet connectivity and much more. The Platinum Club Series Treadmill provides allows you to access the TV and internet, Lifescape courses, RunSocial, Life Fitness compatible fitness Apps, and more. 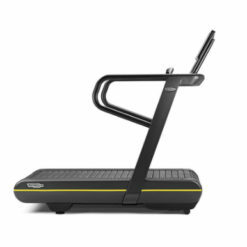 Features FlexDeck shock absorption, spacious tread-belt and small footprint. Suitable for home or light commercial use. 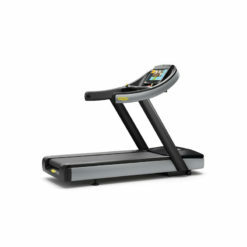 The Platinum Club Series Treadmill provides a motivating entertainment-enhanced fitness experience. 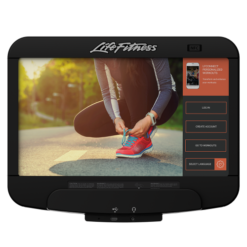 The integrated LCD touch screen features enhanced interaction, Internet connectivity and more. 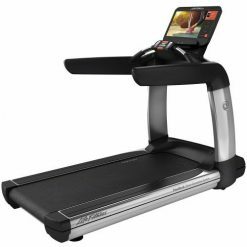 The Lifefitness Platinum Club Series Treadmill is home exercise equipment that offers club-quality technology and performance. The Discover SE3 console is the result of insight gained from extensive research that asked what makes a consistently captivating experience. Engaging layouts, simple discoverability and entertainment options like streaming video and internet compatibility allow the Discover SE3 console to bring facilities to the forefront of the digital fitness world. The FlexDeck Shock Absorption System enhances comfort and reduces knee and joint stress by up to 30%. 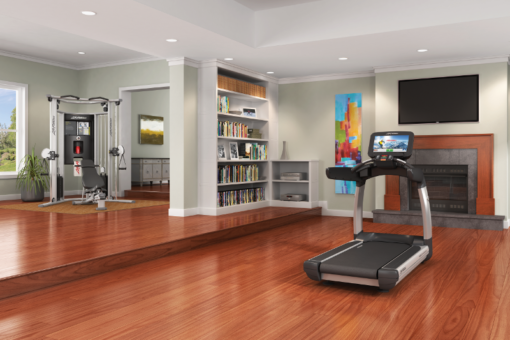 Life Fitness has evolved with decades of expertise. 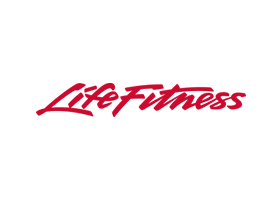 For more than 45 years, Life Fitness has been creating fitness solutions for both the consumer and commercial markets. Starting out as Lifecycle, they developed the industry's first electric bike and the company has gone from strength to strength ever since. Their goal is to motivate and inspire people to keep fit and with that in mind have worked hard to evolve at a pace that will keep them at the forefront of an ever changing market.In 1993 they launched the Life Fitness Academy, a global training arm that can be accessed from all over the world. This educational centre is aimed at consumers and trainers alike with information about a variety of fitness-related subjects, including various white papers that are designed to educate users on the Life Fitness machines and how to use them in order to achieve the best results. 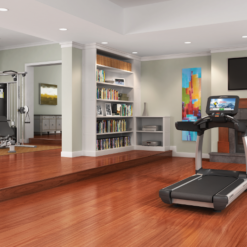 At Gym Marine Yachts & Interiors, Life Fitness is very popular among our home and superyacht gym clients and with a huge selection on offer. 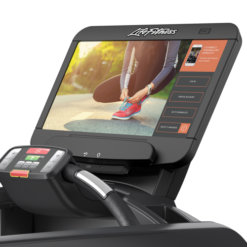 Whether you're looking for a compact cross trainer such as the Life Fitness FS4, a bike like the Life Fitness IC7 Indoor Cycle for serious spinners or a top of the range treadmill such as Life Fitness Platinum Club Series the options are endless. Please contact us for international shipping options. We’re able to ship most of our products worldwide.